Transform Lawn To Food production. Join the growing number of people, who are taking responsibility for their health, food security and climate change, by planting gardens & trees. 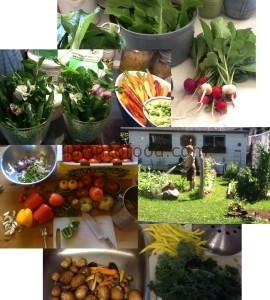 I own an Urban Farm Stand that offers fresh organic produce, build new gardens and provide seasonal maintenance for vegetable plots in Comox and Courtenay, BC. This entry was posted in Growing Food by L2Fadmin. Bookmark the permalink.